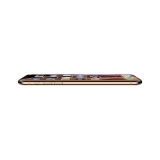 ScreenForce® InvisiGlass™ Ultra Screen Protection for iPhone XS / X is rated 2.1 out of 5 by 199. InvisiGlass Ultra delivers screen protection like no other. 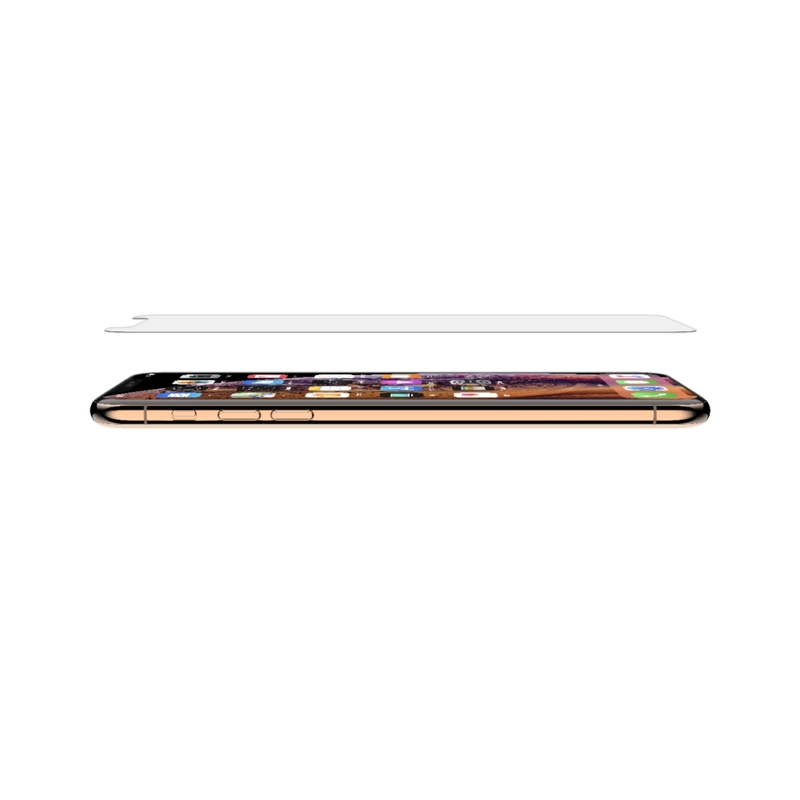 Ultra-premium glass is chemically engineered to be even stronger than tempered glass. This added strength allows it to be precision-cut so thinly that it delivers a flawless touchscreen experience. The top layer of the screen protector is proven in testing to provide the highest level of scratch protection available, to keep your iPhone looking and functioning like the day you brought it home. Heating premium glass to around 400°C allows the liquid form to be manipulated at a molecular level. Small sodium ions are switched out for larger potassium ions which are packed tightly into the same space. This denser molecular structure gives the glass greater strength. InvisiGlass Ultra is precision-cut so thinly that it becomes highly sensitive to pressure. This, combined with intelligent glass composition, ensures every touch and movement is transferred accurately to the screen beneath for a flawless touchscreen experience. 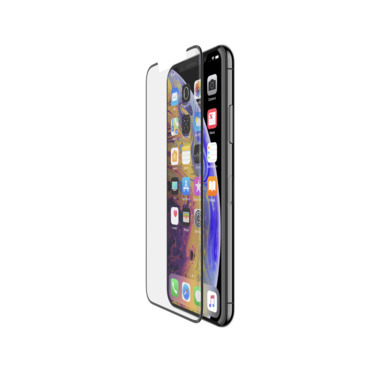 InvisiGlass Screen Protection can be professionally applied to your smartphone by a trained professional, using a specially-developed application system. If you can't make it to your local participating retail location, we've included an Easy Align tray to add precision to any application. 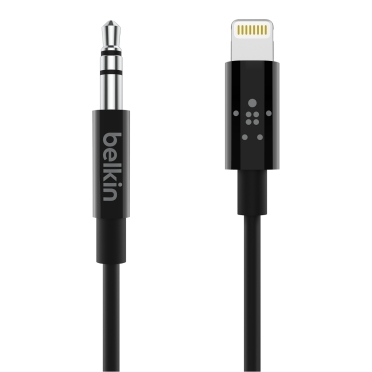 The ScreenForce InvisiGlass Ultra Screen Protector is covered by Belkin's Limited Lifetime Warranty. This commitment to performance in protection provides added peace of mind for consumers. 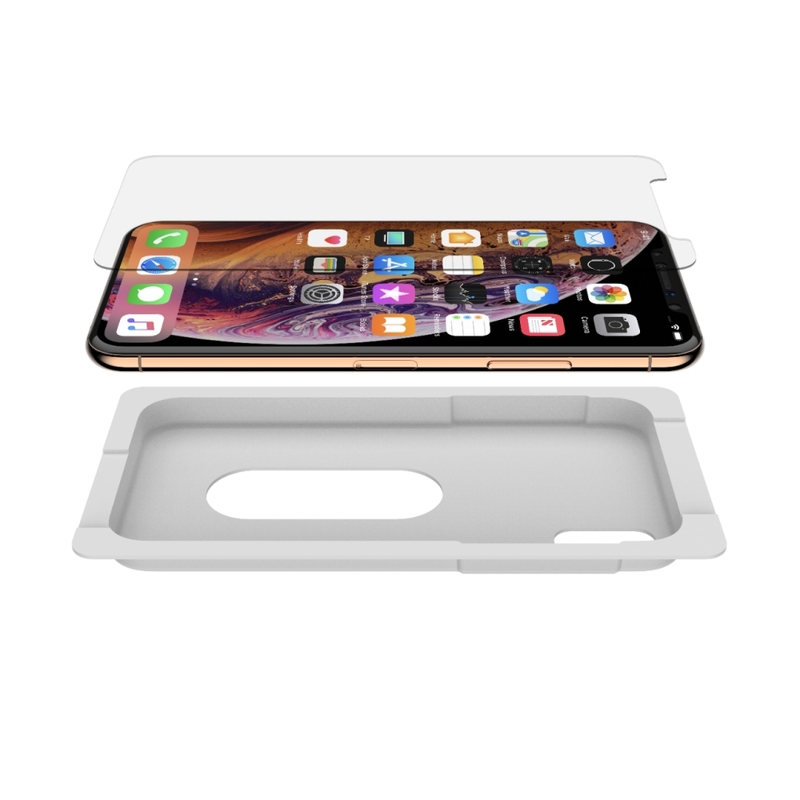 Rated 5 out of 5 by laurim from Includes system for easy application I always put my iPhone in a case and add a screen shield to protect my investment. It's always been tough for me to put the screen protector on by hand, straight and without bubbles. This screen protector includes a simple system that makes the process so much easier. A piece of microfiber fabric to clean the screen, a sticky piece that removes any lint without leaving any adhesive. 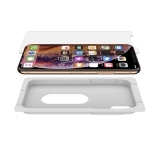 You put your phone in the tray that ensures proper alignment, gradually fold over the attached screen protector layer while managing any bubbles as you go then finally remove the top protective layer of film. It was so easy I didn't realize the protector was installed at first because I couldn't see it on my phone! In use, I can't tell it's even there but knowing it's there makes me feel better about carrying my phone around, especially while traveling, which I do a lot for my business. Rated 5 out of 5 by Maximilian from Clarity, Strength and Value I haven’t used a screen protector in years, because all the ones I’ve used in the past have were blurry, chipped easily, turned yellow or shattered with the slightest tap. But, after paying for three iPhone screen replacements this year, I knew it was time to protect my investment. 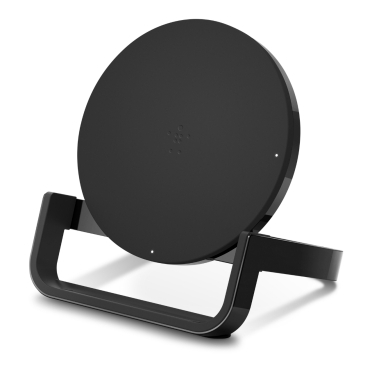 The Belkin screen protector surprised me out-of-the-box with it’s superior build quality and design. This thing looks spectacular. I was amazed at how it seemed to blend, invisibly into the screen on my phone. The glass is so crystal clear. The days of blurry screen protectors is over. I love the clarity not to mention the strength of the Belkin screen protector. I’ve already dropped my phone twice and nothing was broken! This screen protector has saved me so much money in phone repairs. I love it! Rated 5 out of 5 by AncientGeek from Great fit, very clear, good installation system Typically I don’t bother with screen protection. I’m very careful with my devices and the screens don’t get scratched. But the InvisiGlass product looked interesting, so I decided to try it. When I opened the box I was surprised to see so many items in it. Inside were the instructions, a screen cleaning kit and a well thought out application system. (See photo). First you wipe the glass with the cloth, then remove any dust particles with, what I would call, a tack sheet. Then you insert the iPhone XS into a specially designed plastic jig that holds it snuggly in alignment with the screen protector. At that point you remove the film from the phone side of the screen protector and lower it onto the phone. Since the phone and protection glass are attached to the jig, they stay in alignment. 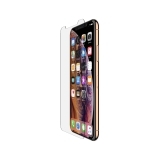 All you have to do is keep a slight tension on the pull tab as you lower it on to the iPhone and gently work out any air bubbles. Then remove the film from the top side of the glass and remove your phone from the jig. The screen protector is perfectly aligned on the face of the iPhone and looks great. I admit I skipped the dust removal step because after a thorough cleaning with the cloth, I didn’t see any dust. That was a mistake on my part. I should have followed directions. As a result, I have three or four fine dust particles trapped between the protector and the display. However, they are tiny and not noticeable during normal use. The screen protector looks like it is a manufactured part of the camera. It fits very precisely and has a carve-out for the sensors at the top of the screen. The alignment and clarity make it disappear on the screen. Sensitivity is excellent and 3D Touch works great. I stopped using screen protectors years ago because they always looked clunky, gathered dust, reduced sensitivity and eventually self destructed. This one is in a totally different class. It is beautiful because it is nearly invisible optically and in terms of tactility. 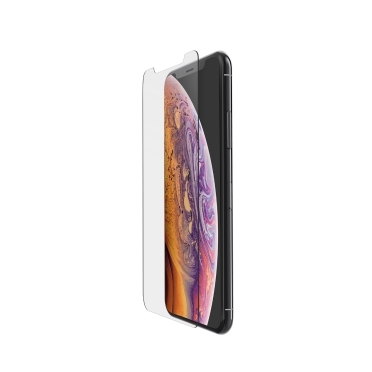 Rated 5 out of 5 by ArtDad111 from Really nice screen shield! The InvisiGlass I believe is much better looking than the anti glare. Better looking and feeling. Not seeing the screen shield is WAY better than noticing how visible the film is. I'm happy with this. A solid five star product. Rated 2 out of 5 by GMcQ from Cracked Within A Week This is the third Belkin InvisiGlass case I've had crack or break. This one broke inside of a week. 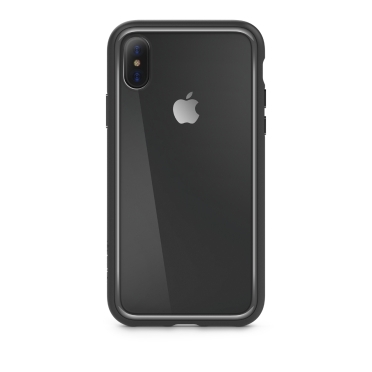 Bought it for my iPhone XS, and had the Apple Store technicians put it on the phone. The phone was never dropped, bumped, or damaged in any way, yet the screen cracked. Noticed it when taking the phone out of my front pants pocket. Shame on me for continuing to buy this screen protector. Never again. Rated 2 out of 5 by Grindstick from Worked great till it didn’t. I got this installed at the apple store when I bought my new phone. About 2 months later in certain light I noticed it had a couple of cracks. They ran from side to side and top to bottom. The weird thing is it’s in a hard case also. At first I thought it was the glass screen but upon closer examination I realized it was just the protector. Then after about a week the corners started to shatter and turn into.... well broken glass and it seems it’s just really starting to dissinigrate. Rated 1 out of 5 by BethAnne13 from Sadly Disappointed I bought this from Apple store about 10 days ago and today not only cracked but chipped the edge- I am unsure if my screen is damagaged. The fall was from my lap to a carpeted floor. Very disappointed to spend $40 and find it cracked so easily. I am just praying that my screen is not damaged.